Megadeth have announced the artist lineup for their first-ever Megacruise next fall. 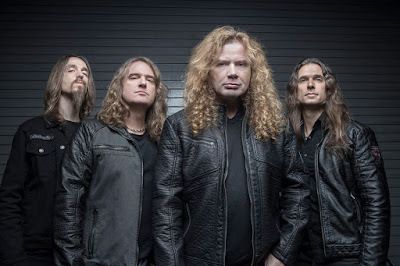 “MegaCruise: Thrashing Through The Pacific 2019” will see the thrash icons host the event on The Norwegian Jewel, which will set sail on October 13, 2019 from Los Angeles, CA and hit ports of San Diego, CA and Ensenada, Mexico before returning on October 18, 2019. The inaugural trip will feature performances by a lineup that includes Anthrax, Testament, Corrosion Of Conformity, Armored Saint, DevilDriver, Metal Church, Doro, John 5, Beasto Blanco, Danko Jones and Metalachi: The World's First and Only Heavy Metal Mariachi Band. “While there are dozens of daily performances by our featured Artists, that’s just the beginning of the fan experience,” according to the official website. “Quite simply, the Norwegian Jewel will become the home of Artists and Fans, interacting in many different ways throughout the five-night voyage. “This interactive experience affords you a variety of events and activities that will put you front and center with Metal Icons that have been an integral part of your life. From Artist Photo Experiences to Intimate Morning Coffee Jams, Music Clinics to Fan/Artist Sporting Competitions and more, there’s always a way to get up close and personal with your favorite Artists. The project debuted at No.3 on the US Billboard 200 upon its release while the album’s title track won the band their first-ever Grammy Award in the Best Metal Performance category at the 2017 event.